Personal Note: Not much news today, if any news pops up I will update the blog. Day trippers to Liverpool will have a new guide to help them take a magical mystery tour around the city's Beatles attractions.A comprehensive map of Fab Four sites has been produced and will help fans discover everything from Lennon and McCartney's childhood homes to the Cavern.John Lennon Airport also gets a mention alongside the Cavern Club and pub and the Beatles shop and museum. "We weren't allowed up there where the grownups lived." That's Paul McCartney in "Paul McCartney: Chaos and Creation at Abbey Road," a "Great Performances" installment premiering Monday at 10 p.m. At the beginning of the special, McCartney speaks those words while pointing to an elevated sound-engineering room in Studio 2 at Abbey Road Studios in London. 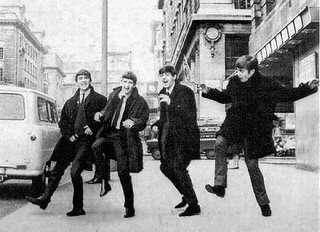 Though the Beatles would make Abbey Road famous, they deferred to their elders in the early days of their recording career. Even now, "it terrifies me, this studio," says McCartney. The John Lennon Educational Tour bus made a stop in Tulsa Friday and invited students to imagine.Friday, the bus braked at Saied Music Company. 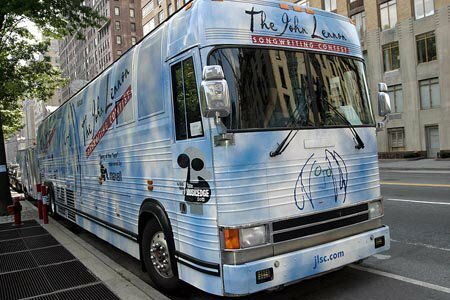 It's a state of the art mobile recording studio that travels the country year round, offering free workshops to students. Participants can write a song, perform it, record it and creat a music video, all in one day.Some well known musicians have been on board the bus. Engineer-producer Jesse Jemsema: "we've worked with John Legend, Bob Weir, Black Eyed Peas, the list goes on, I could sit here and tell you all the people who came on, we're not about that, we're all about education and working with the kids." If you missed it Friday, the bus will at Cain's Ballroom Saturday from 6-7 PM. "We're going to try and do a couple sort of experimental things tonight . . . going to pretend to make records and do all sorts of funny things, really," says Paul McCartney as he enters EMI's Abbey Road Studio 2 for "Chaos and Creation at Abbey Road." The Barrett-Jackson Auction Co. will help celebrated recording artist Sir Paul McCartney and his wife Heather Mills McCartney auction their personal 2006 Cadillac CTS for charity during the fourth annual Palm Beach Barrett-Jackson Collector Car Event. 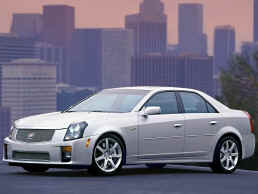 Proceeds from the sale of the special edition Cadillac will benefit Adopt-A-Minefield. The Palm Beach automotive lifestyle event will include three days of "no reserve" auction excitement from Thursday, March 30 through Saturday, April 1, 2006. 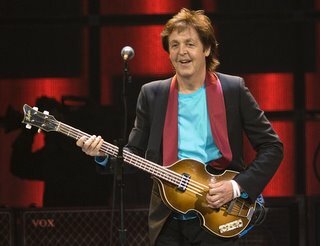 While the Apple Computer versus Apple Records case wends its way through the courts, former Beatle Paul McCartney isn't shy of new technology. As a thank you gesture at the end of his last US tour (which took place between September and November last year), McCartney gave everyone who toured with him a video iPod. 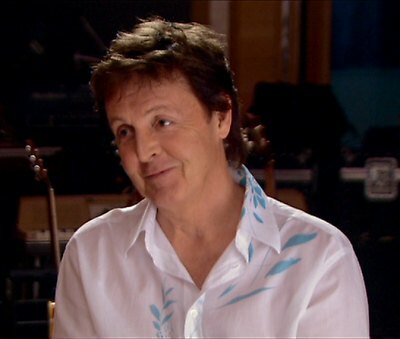 A source also told Macworld that McCartney also uses Macs in his UK recording studio on the South Coast. 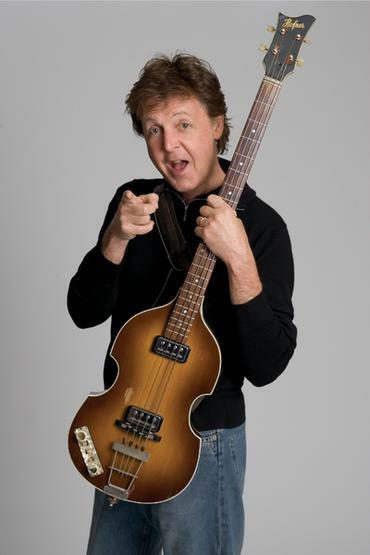 McCartney also raised eyebrows when he performed at the Grammy Awards earlier this month. He sang a version of "Yesterday" with Jay-Z and Linkin Park. The reason is simple, the source said. When mash-up artist DJ Danger Mouse created the infamous 'Grey Album', he chose to mix the vocals from Jay-Z's 'The Black Album' and the Beatles' 'The White Album'. 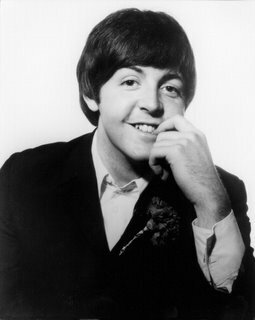 Though the remix was subjected to a cease and desist order by EMI, the move did win Danger Mouse one interested potential fan - Paul McCartney, who listened to the album in his car. "McCartney remains really interested in what's going on in the creative world," the source explained, "He likes to know what's going on." 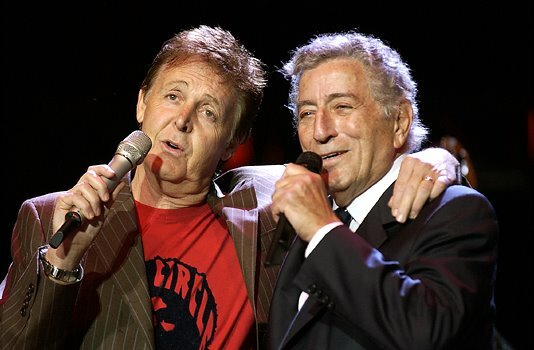 This interest in modern music culture also led McCartney to take UK DJ, remixer and musician The Freelance Hellraiser (Roy Kerr) along with him on his tour. 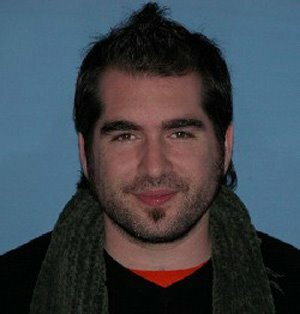 Kerr won fame with a mash-up called "A Stroke of Genius", which combined an instrumental edit of The Strokes' track "Hard To Explain" with Christina Aguilera's pop hit "Genie in A Bottle". 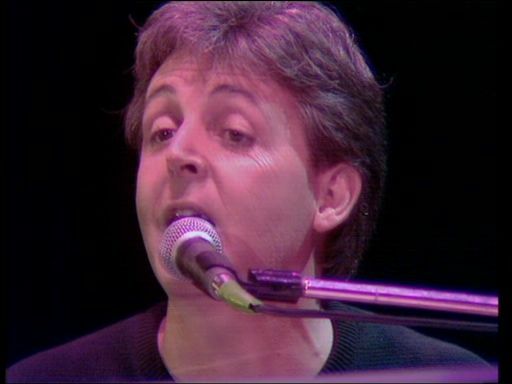 The DJ was given unique access to McCartney's own tracks in order to create remixes to play to the audience before each show. "We're going to try and do a couple sort of experimental things tonight ... going to pretend to make records and do all sorts of funny things really," says Paul McCartney as he enters EMI's Abbey Road Studio 2 for "Chaos and Creation at Abbey Road." 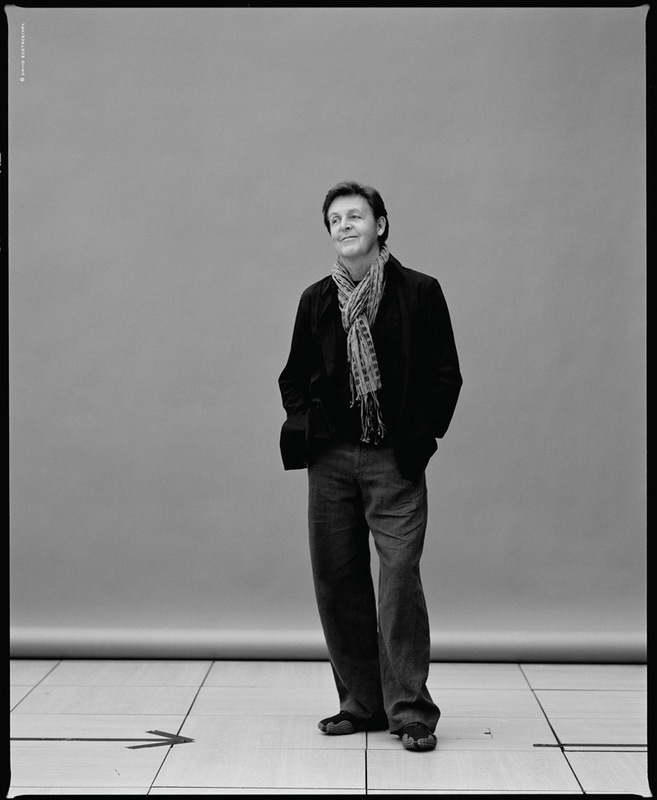 The McCartney production for PBS airs at 9 p.m. Monday as part the "Great Performance" series. Some of the biggest names in music will team up with veteran crooner Tony Bennett for his 80th birthday album. Former Beatle Sir Paul McCartney, U2's Bono and Sir Elton John will all appear on the collection of duets.The album, due for release in September, will also feature George Michael, Sting, Barbra Streisand, Mary J Blige and John Legend.Tony won the Best Traditional Pop Vocal Album Grammy Award earlier this month for recent record The Art Of Romance. 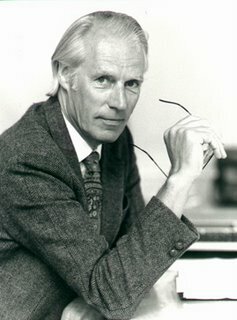 Songwriter George Martin is demanding recognition for co-writing The Beatles' hit Yesterday, insisting he penned the track alongside SIR Paul McCartney.The song's composers are officially listed as McCartney and late Beatle John Lennon, but Martin claims McCartney added Lennon's name to the songwriters list, despite the Imagine singer having no involvement in the melody.He says, "We didn't know what to do with it. It was such a soppy tune, so I went away and wrote a score for a string quartet to go with it. "So I handed him a pencil and he signed it. "He wrote John Lennon's name too - although he had nothing to do with it - and added Esquire to mine." New works about George, Paul, and the Fab Four's cultural echoes fill holes in the Beatles' lives and music. Was this the inspiration for Yellow Submarine? When Wally the whale inadvertently swam up the River Thames it became the centre of an international media storm and hundreds of people turned up for a glimpse.But more than 50 years ago Merseyside had two stranded whales that people took to their hearts.Now, it seems, one of them may have been the inspiration for the Beatles' hit the Yellow Submarine and film. 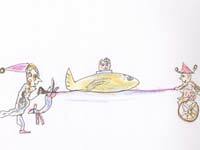 A rare drawing has been discovered by a close childhood friend of John Lennon and he is certain it sparked the idea for the pop ditty. 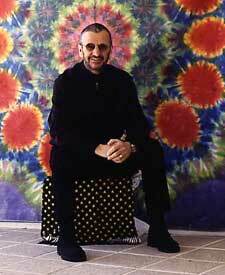 Ringo talks about a new tour in his updates section on his webpage. The images show some of the best-known names in pop music history in unguarded casual poses. 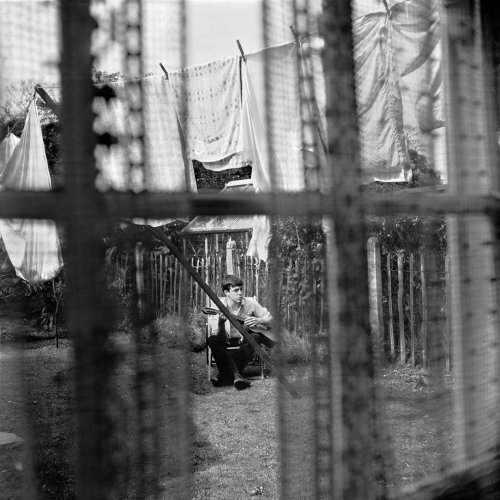 The photographer, the former wife of George Harrison and Eric Clapton, certainly had a unique vantage point. For many years, Pattie Boyd was celebrated in song but kept a low public profile. On Thursday, she spoke about her life ahead of a new exhibit of her photos in San Francisco. 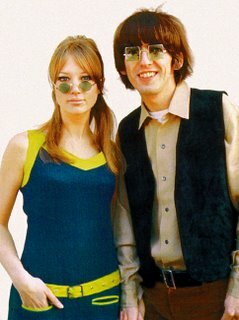 Pausing in front of her photo of Harrison and blues guitar maestro Clapton together with cigarettes in their hands in the mid-1970s, she reflected on the end of her marriage to the former Beatle around that time. This is a true story of love and bitterness, recrimination and reconciliation. Its a story of glamour and spirituality, drugs and rock n roll. Its about four men whom the world worshipped, and the mentor they first adored, then abhorred. Its a story that has never before been told in its entirety, though gossip and rumours have swirled around it for years. Why exactly did relations between the Beatles and Maharishi Mahesh Yogi sour? 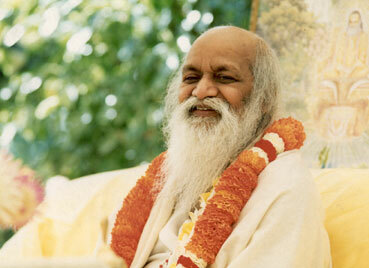 Was there any truth to the allegations that the Maharishi had propositioned a friend of the Beatles? As an erstwhile disciple of the Maharishi, and a close friend of the Beatles, spiritual master Deepak Chopra is probably one of the few people who knew the real story. Hamburg's Reeperbahn red light district is past its prime after years of economic stagnation. 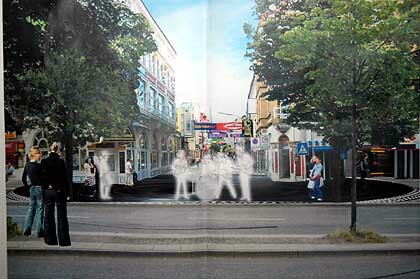 But now the city plans to revive the area by commemorating the role it played in shaping the Beatles. After all, John Lennon once said: "I didn't grow up in Liverpool. I grew up in Hamburg." 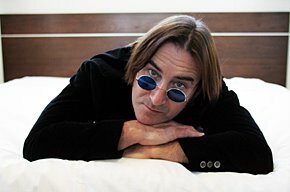 MILD-MANNERED actor Valentine Pelka only faintly resembled John Lennon until he slipped on a pair of blue-tinted granny glasses and let fly with a cheeky barrage of Scouse.Then it seemed as if the late superstar had walked into the room. The British actor is here to appear as Lennon in And In the End, which opens in Sydney next month. The play imagines what went on in the former Beatle's head during the last minutes of his life, after being shot outside his New York home in the Dakota apartments in December 1980, by deranged fan Mark Chapman. Pelka performed the role to critical and audience acclaim at the Edinburgh Fringe Festival, and after the Sydney and Melbourne seasons the show is heading to Broadway. Paul McCartney has been accused of being a bad loser after allegedly storming off when he failed to pick up the Grammy for Best Album. According to Fox News columnist, Roger Friedman: "After it was announced that U2's How To Dismantle An Atomic Bomb had won, the ex-Beatle got up and left with his very arrogant bodyguard. "They weren't exactly subtle about it, either." Oh dear. A thinly veiled promotion for Paul McCartney's new album or not, "Chaos and Creation at Abbey Road," airing Monday, Feb. 27, 10-11 p.m. EST on PBS (check local listings) as part of the "Great Performances" series, captures a legendary performer in top present-day form.Looking remarkably youthful, his singing voice only lightly touched by time, Sir Paul returns to the famed London studio where the classic Beatles albums were recorded. Surrounded by a small, casually dressed studio audience which gathered last July, he appears utterly relaxed as he reminisces about his early days as part of the Fab Four, explains the workings of some arcane recording equipment, demonstrates a variety of musical instruments from various guitars to Elvis Presley's bass player's instrument to an early synthesizer, and sings a range of songs from early favorites to Beatles evergreens to highlights from his new album, "Chaos and Creation in the Backyard." John Lennon sat down at his piano on Jan. 17, 1967 and used a black felt-tip marker to start writing the lyrics to a song called "A Day In the Life." He revised the song on the same sheet of paper that afternoon with fellow Beatle Paul McCartney and it became the centerpiece of the album "Sgt. Pepper's Lonely Hearts Club Band." Now, nearly four decades later, the two-sided lyric sheet is expected to fetch more than $2 million at auction. 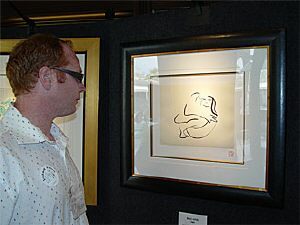 "It's absolutely the finest rock and roll artifact to survive the 20th century," Martin Gammon, a book and manuscript analyst at Bonhams & Butterfields, said Thursday.Bonhams is auctioning the Lennon lyrics along with manuscripts that include correspondence from Gandhi, checks signed by Marilyn Monroe and a letter from author John Steinbeck to Martin Luther King, Jr. 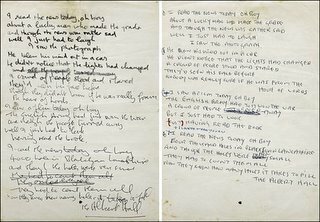 The lyrics and other rare books and manuscripts are on display in San Francisco through Feb. 12.San Francisco hippies were among the first Beatles fans to hear "A Day In the Life," which trumpeted a new psychedelic sound and features Lennon's memorable lyrics: "I read the news today, oh boy." 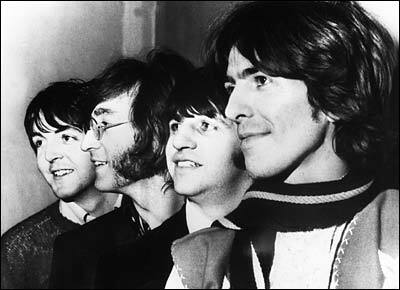 George Harrison brought an early demo tape of the song to California and played it on the radio during his much publicized visit to Haight-Ashbury in 1967 during the so-called Summer of Love.The album was a radical step for the Fab Four and is now regarded as perhaps the most important rock album ever. Gammon said Beatles manuscripts, especially those from the often-reclusive Lennon, are increasingly rare finds. Many Beatles songs were written on paper bags or scraps of paper and most were thrown away, he said. "It's a window in time. 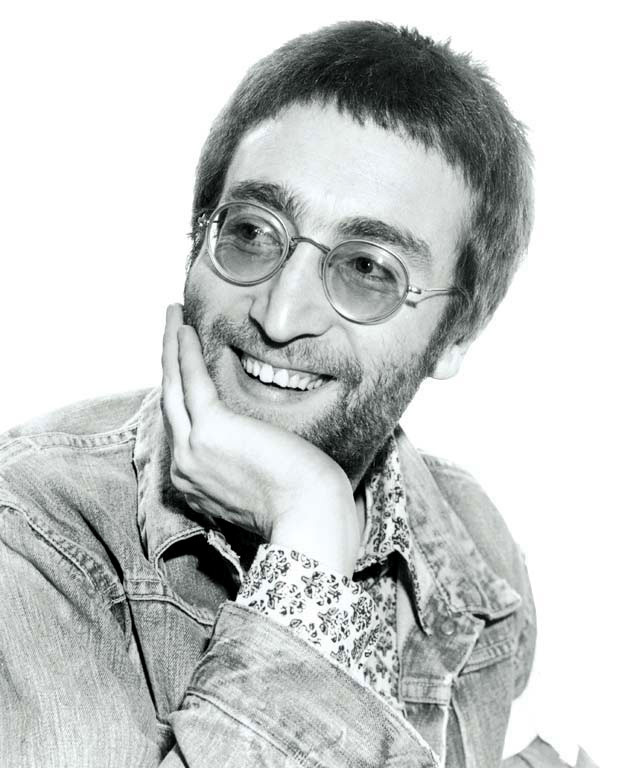 You can imagine him (Lennon) coming up with the musical ideas that everyone now knows," Gammon said. The value of the manuscript has increased exponentially in a little more than a decade, Gammon said. An unidentified American collector purchased the lyrics for "A Day in the Life" for roughly $100,000 in 1992 - considerably less than the likely winning bid in 2006. 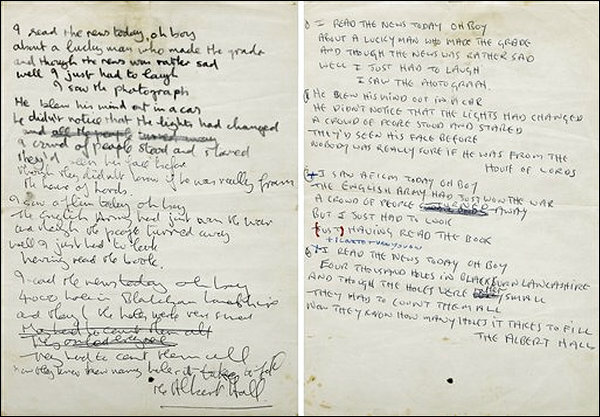 They originally belonged to former Beatles road manager Mal Evans.Gammon concedes it's ironic that the lyrics will sell for such a hefty price, considering that Lennon and Yoko Ono dropped off a closet full of possessions at a Salvation Army in 1977.Beatles fans can view the lyrics at Bonhams San Francisco office before they move to Los Angeles and New York. A Note From Me: There's not much news right now, if you have any news related to The Beatles send me an e-mail. 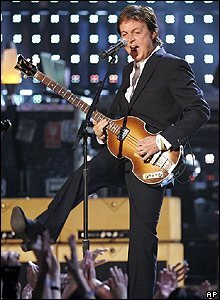 SIR Paul McCartney brought the house down at the Grammy Awards last night (08FEB06) when he bridged the generation gap by performing BEATLES anthem Yesterday with Linkin Park's Chester Benington and Jay-Z. Wearing a T-shirt featuring John Lennon, Jay-Z rapped over the tune as Benington and McCartney sang.The rap mogul ended the surprise collaboration by stating, "Sounds so beautiful, don't you agree." It wasn't the first time Jay-Z and McCartney had collaborated DJ Dangermouse `mashed' the rapper's Black Album and the Beatles White Album together on The Grey Album. The Beatles' 1967 pop masterpiece "Sgt. Pepper's Lonely Hearts Club Band" includes the song "When I'm Sixty-Four," then an unlikely image of the four trailblazing young rockers from Liverpool. But had he lived, John Lennon would've turned 65 on Oct. 9, and he'd probably be amazed at the way his life has been analyzed, dissected and otherwise chronicled. 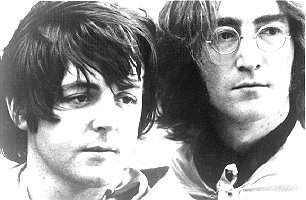 Or maybe not: Lennon always had a sense of himself as a public figure, and he appeared well aware of the Beatles' impact on popular culture. There is really nothing that is unique about dying. In the final analysis - despite the fact that the vast majority of us delude ourselves into believing that we'll live forever - we will one day all arrive at death's doorstep.However, there are those times when the death of an individual represents a freeze-frame in our lives and becomes a watershed moment to an entire generation.Most of us from a certain generation can remember exactly where they were when John Kennedy was assassinated. The untimely death of Princess Diana captured and held the attention of a newer generation as they huddled around television sets across the world. 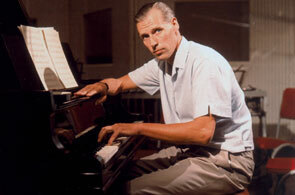 A British music studio said Wednesday it had bought Air Studios, the recording facility founded by Beatles producer George Martin. Movie mogul Joe Roth has snagged the rights to use a stash of Beatles tunes in a new movie - for $5 million (GBP2.8 million). 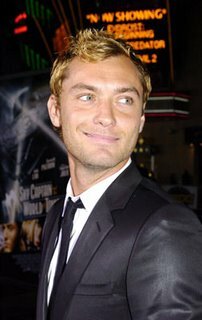 Jude Law is set to play late Beatles manager Brian Epstein in a quirky, hallucinogenic biopic. After years of talks over "The Fifth Beatle" project, Broadway producer Vivek Tiwary has written a script which depicts Epstein's life through historical scenes, dream sequences and hallucinations. Tiwary hopes to premiere the movie in Epstein and The Beatles' home city of Liverpool, England, in 2008. He has the blessing of Epstein's family and has been working closely with the latter's former business partner Nat Weiss and assistant Joanne Peterson.Tiwary also believes Epstein's August 1967 death of a drug overdose was accidental, not suicide. Epstein was just 32 when he died. John Lennon and Paul McCartney's first stage will be recreated as a star attraction at Liverpool's new city museum. LIFE STYLE EXTRA (UK) - The Beatles have been voted Britain's most iconic image.The Fab Four - Paul McCartney, John Lennon, George Harrison and Ringo Starr - beat the Queen, Harry Potter and the BBC in the online poll.Nick Morley, from internet search engine Seekport - who commissioned the survey, said: "With this survey we've taken a snapshot of what it means to be British today. ""Through the internet, films and TV people all over the world are exposed to the same cultural influences but deep down there are still big national differences. "The survey put the local pub in second place, followed by the British countryside, and Shakespeare. Former Spice Girl and Victoria 'Posh' Beckham and her footballer husband David got the thumbs down from the public after being chosen as Britain's most embarrassing celebs.They proved even less popular than a rainy day. 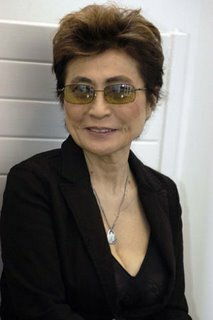 Yoko Ono, widow of John Lennon, will arrive in Reykjavík on the 25th of February for Reykjavík's winter festival to discuss a peace column, an art work that she is presenting to Reykjavík. The column, 10 to 15 meters long, is an illuminated column of glass, full of wishes of peace from people all over the world. On the outside there are two engraved lines of poetry. 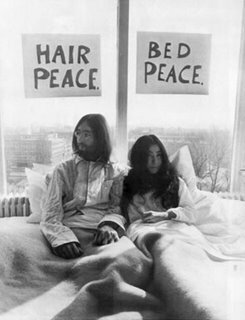 One of the passages, "A dream you dream together is reality", is written byYoko Ono herself, the other, "Imagine all the people, living life in peace" is from John Lennon's song Imagine. The passages will be translated into numerous languages. There are several new George Harrison reissues in the works this year. 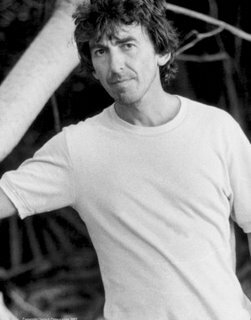 Beatlefan magazine reported that Harrison's son Dhani said that among the projects on the front burner is a box set featuring remastered versions of Harrison's Apple records from 1968 to 1975, a new career-spanning greatest hits collection, a CD and DVD of Harrison's only solo U.S. tour from 1974, as well as reissues of all the albums from the artists on Harrison's Dark Horse record label from the mid-'70s. Harrison's widow Olivia added that Harrison was working on his own Anthology video project at the time of his death in 2001 that she'd like to see finished. No word on when that or the proposed box set of solo outtakes and demos will see the light of day. Earlier this month, the first book to fully chronicle Harrison's religious and spiritual life, titled Here Comes The Sun: The Spiritual And Musical Journey Of George Harrison, was published. Author Joshua Greene, who recorded with Harrison in 1970 while a part of the Radha Krishna Temple -- a Krishna sect -- recalled to us that he was amazed at how down to earth Harrison was in the recording studio: We came in, he said hello to his friends, slapped a few old buddies on the back. Then he started laughing and yukking it up about people's reactions to a rock group with shaved heads -- because he was putting out these albums of Sanskrit mantras. Then he looked at his watch and said 'Y'know, we better get started, this studio is costing us 40 pounds-an-hour. 'That was impressive. He might've been a Beatle, he might've been one of the richest, most successful guys around -- but he was very practical." Among the albums set to released as part of the upcoming George Harrison "Apple Years" box set will be 1968's Wonderwall, 1969's Electronic Sound, 1973's Living In The Material World, 1974's Dark Horse, and 1975's Extra Texture (Read All About It). Harrison's All Things Must Pass and The Concert For Bangladesh albums from 1970 and 1971, respectively, have already been reissued in expanded and remastered versions, as have all the albums in his 1976-1992 catalogue. 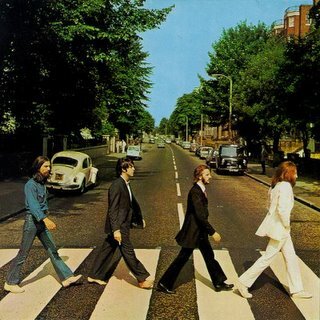 To get the timeless music of the Beatles onto vinyl and put together the greatest pop music albums ever recorded. 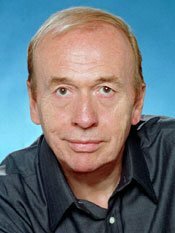 Recording engineer Geoff Emerick made full use of his soundboard skills and his ingenuity, work with the Fab Four and their producer George Martin to create records unlike anything the world had heard up to that point. 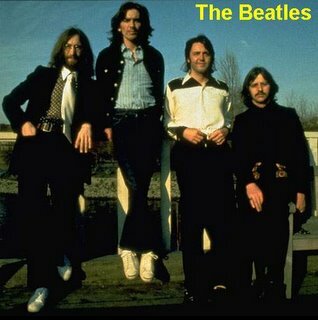 Here, There and Everywhere : My Life Recording the Music of the Beatles (Gotham Books; $26.00; March 2006) is four-time Grammy winner and recording industry legend Emericks story of the years he spend at EMI studios at Abbey Road, working with the band to shape albums such as Sgt. Peppers Lonely Hearts Club Band and Revolver (recently named the #1 and #3 greatest albums of all time by Rolling Stone). Emerick started at EMI as a fifteen-year-old assistant engineer just in time to witness the first studio recording by the Beatles -- and by the time he was nineteen he was their main recording engineer for the groundbreaking Revolver, turning the sounds the heard in their heads into the music that would change the world. PAUL McCartney's Grammy nomination total stands at 64 on the eve of the annual music awards ceremony, as if anyone needed a reminder that the ex-Beatle marks a special birthday this year — June 18, to be exact. "The Fifth Beatle" will depict life of Brian Epstein. 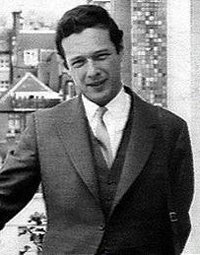 Brian Epstein, the man who shepherded the Beatles to stardom, will be the subject of the upcoming feature film The Fifth Beatle. 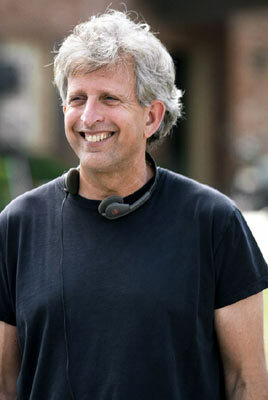 The screenplay was written by Vivek Tiwary -- a producer on the Tony Award-winning Broadway revival of A Raisin in the Sun that starred Sean "Diddy" Combs -- and it conveys the rock & roll manager's life through historical scenes, dream sequences and hallucinations. It's hard to imagine that after more than four decades as one of music's most iconic artists, Paul McCartney has yet to play live at the Grammy Awards. With 13 Grammys to his credit, Sir Paul has certainly taken the stage as a winner, but he's never dripped performance sweat on it. But 8, when the 48th annual awards go off inside Los Angeles' Staples Center.The Recording Academy announced McCartney's addition to the ceremony's lineup Thursday (February 2). 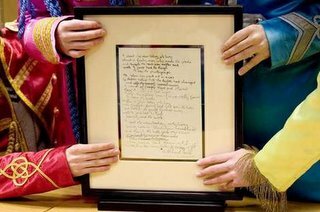 LONDON: A stained sheet of handwritten Beatles lyrics is expected to sell for at least $2.6 million and possibly almost $4 million. 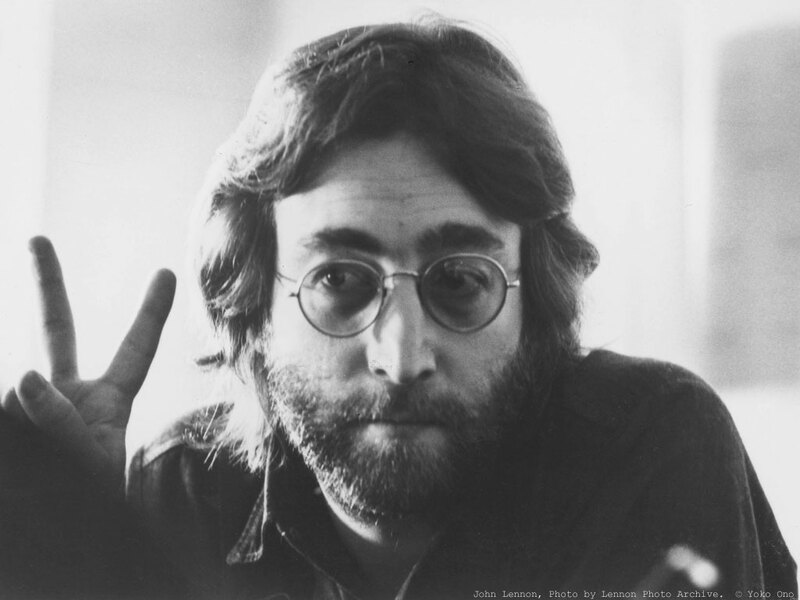 It has been twenty-five years since the legendary musician John Lennon was murdered on his way home from work. Since his death, millions of fans around the world dedicatedly remember his legendary works in music and continue to pay countless tributes to him even until now. While fans stick to their memories and idealism of the former Beatle, author Janet Celia Waters shares her personal experiences and unforgettable affair with the legend himself. To relive the magic of the 1970s, readers are encouraged to join Waters as she brings to life the legendary and human side of John Lennon with her compelling new book John Lennon's Girl: Based On A True Story. All we are say-y-ying is give peace a chance.Many of us have sung along with the famous John Lennon tune, a peace anthem recorded on June 1, 1969, in a suite in Montreals Queen Elizabeth Hotel. The Beatles released Let It Be, the last of their thirteen albums, 36 years ago. 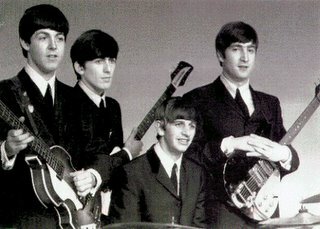 Today there is no one musical group or soloist capable of commanding the attention paid to John Lennon, Paul McCartney, George Harrison, and Ringo Starr between 1964, when they first appeared on The Ed Sullivan Show, and 1970, when McCartney announced that the group was disbanding. Just as there is no longer a common culture, so there is no longer a common style of music to which most English-speaking people listen. Yet the Beatles and their music continue to fascinate successive generations of music lovers, so much so that more than two dozen books have been published about them, the latest of which is a thousand-page biography by the journalist Bob Spitz.